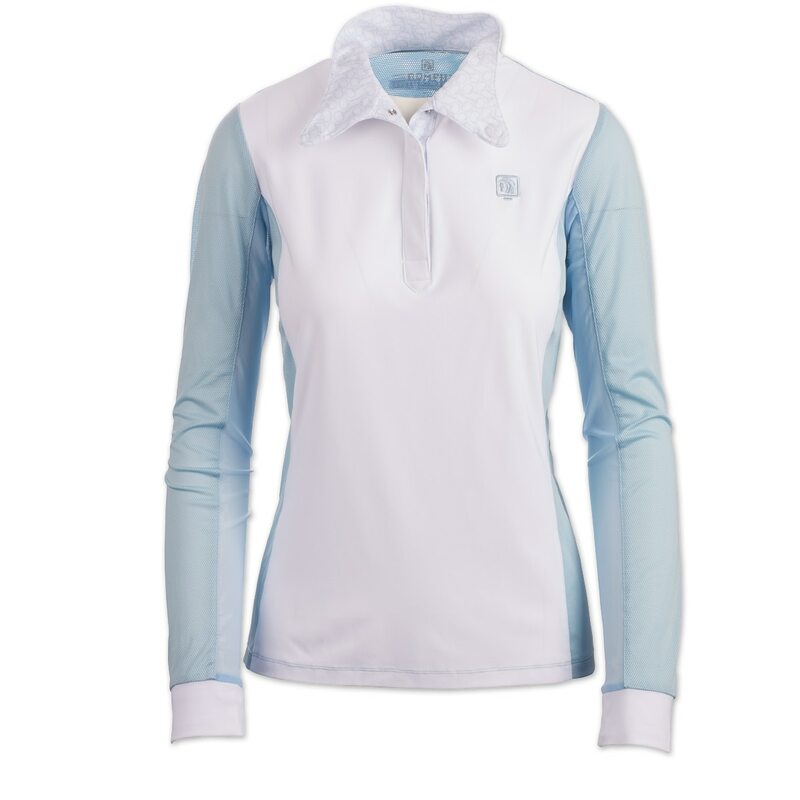 The Romfh Signature Long Sleeve Show Shirt is the perfect blend of traditional and modern-truly the ideal show shirt! This shirt can be worn buttoned up for a polished, show ring look or undone for a fun pop of color. The crisp woven collar features magnetic snaps that give ease of use and an also be worn opened up for a fun look. To make sure you're calm and cool while wearing, this shirt features cool under arm mesh for ventilation as well as moisture wicking chill factor that will keep your dry. The added Powerfresh antimicrobial treatment is an added bonus as it will help keep your shirt fresh between washes. Romfh Signature Long Sleeve Show Shirt is rated 5.0 out of 5 by 1. 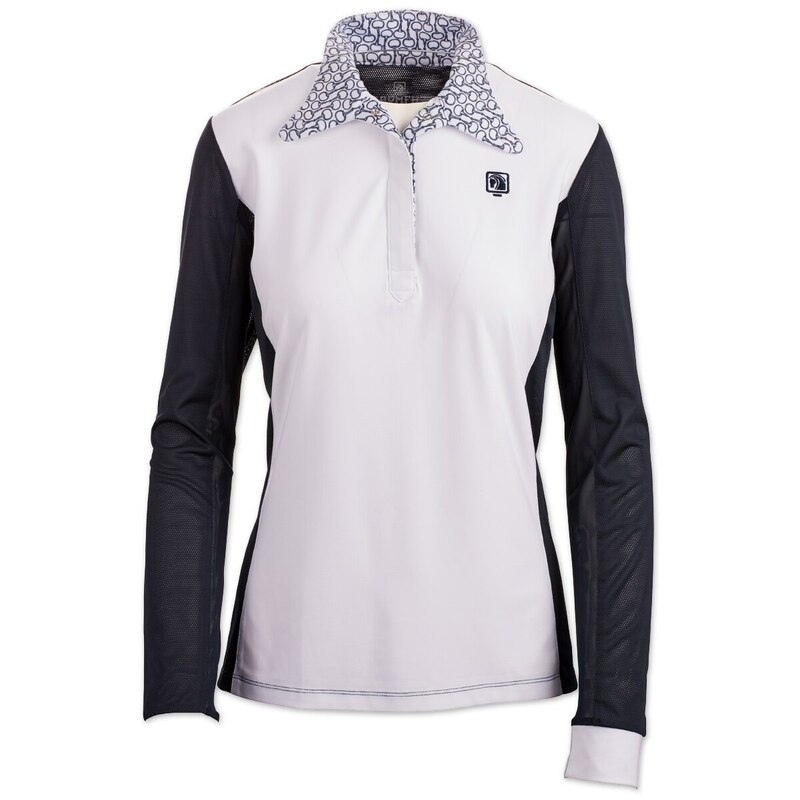 Rated 5 out of 5 by MS gal from Nice looking and comfortable I purchased this for a dressage show and it is one of the nicest technical shirts I have ever worn for showing. Very cool and comfortable and I got lots of complements on it.